Who is Afraid of Ngozi Okonjo-Iweala? 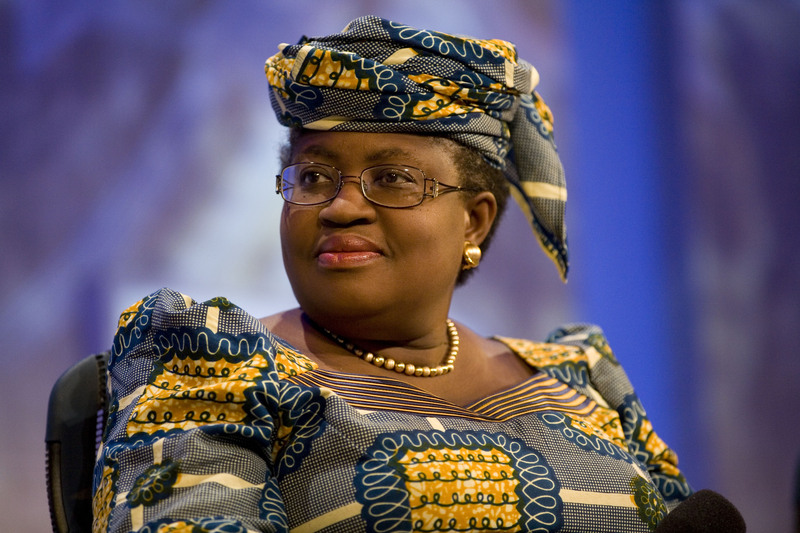 In recent times, the news space has been awash with news and opinion articles about the immediate past finance minister, Dr. Ngozi Okonjo-Iweala. Most of the features have stemmed from people with questionable character and, unfortunately, the local media have been complicit in aiding their spread. As if her continuous strides in the international horizon are touching old wounds, Okonjo-Iweala has been accused of too many things in recent times; from being the one behind the inability of the current administration to run the economy well to alleging that she blamed former president Goodluck Jonathan for not having political will. The latest of these is some silly report that she slams the change agenda of the Buhari government and claims that both Buhari and Obasanjo are only interested in oil blocs. The impression these writers and their media partners are trying to convey is that Okonjo-Iweala is still immersed in Nigerian politics after May 29, 2015; whereas, in actual fact, the woman has moved on. After bowing out as finance minister, she has gone ahead to become the chair of GAVI, owned by multi-billionaire Bill Gates; she has also been appointed to chair the board of Lazard, a 168-year old financial advisory and asset management firm. She also chairs ARCapacity, a specialized agency of the African Union with focus on disaster risk solutions across member states. Not to forget that she has received more awards and has been sighted everywhere abroad and at home among the people that matter, and no one has pointed an accusing finger at her in any of those occasions. You then have to ask, what is this obsession with Okonjo-Iweala amongst local crooks? This woman has left government about a year ago and is minding her business. Much unlike most of the political jobbers in Nigeria, she has a profession and she is busy exercising it. Why can’t she be left alone? Who is afraid of or obsessed with this lady? Is it the corrupt elements she fought to a standstill while in government? It is amazing that more than a year later, these corrupt people cannot let go and are still smarting from their losses which her process checked. But by attacking her on a daily basis they are only making her very famous as the world is astonished at their stupidity. When the news of her accusing GEJ of lacking political will broke, knowing her as a tactful person, it was clear it’s another legendary distortion. So I wasn’t surprised when Paul Nwabuikwu, her media aide came out with a forthright rebuttal. As she explained, and recent history confirms, it wasn’t lack of political will on the part of Jonathan, but the stubborn opposition of some governors who are now federal ministers and key members of the ruling government that hindered efforts to save when oil prices were high. That history is known to all of us, so there is no point doing the mischief of rewriting it. Such attempts only help to expose the motives of the peddlers. Per the ridiculous feature which several websites have now published that she lambasted Obasanjo and Buhari as only interested in oil blocs and not change, it looks like one of those writs sponsored by people who have decided their mission is to tarnish her image, as the badly written story with tenses mixed up is another attempt to pitch OBJ and PMB against her. This was the same tactic used in 2007 by a former minister, now governor, after she left the Obasanjo government. This man kept planting false stories about her in the media and in the hearing of Obasanjo, to the point that she turned the former president against Okonjo-Iweala until he became wiser as to what was going on, and that was after she had publicly confronted the diminutive man about his mischievous activities. The ludicrous thing about this development in our nation is that many of our local media gleefully published such spurious allegations without checking their facts. Perhaps, they do not know Okonjo-Iweala has successfully sued two media outfits before for such unethical practice as libel. For those who are saying she is partly to blame for whatever failures of the last administration, why don’t they also blame president Buhari for the misdeeds of the Abacha government since he served there? Is Buhari to be blamed for the billions of dollars stolen by Abacha? These opinion hawkers are nothing but hypocritical. Someone who left her posh job at the World Bank and came to serve her fatherland, improving processes and building all the systems now in use by the current government should not be accused in such carefree manner as common in our media today. The truth is the level of Okonjo-Iweala has changed, but these vested interests and uninformed persons don’t seem to understand this. She has passed where she was when we knew her as finance minister. She has gone global and is waxing greater in profile. She is now an icon of our dear country and the world. Haters should look for someone at their level.